I have had some issues in the past when undercoating or varnishing with figures or models (especially light ones) sliding around when undercoating. It occurred to me in an epiphany the other day (OK, so I was walking around Takashimaya with my mind drifting) that there was a simple solution to problem of sliding figures when spraying them. I always base my figures first, then add some magnetic tape under the base. The solution to the sliding then was quite simple. I attached some thin metallic sheet to an MDF board that was about A4 size. 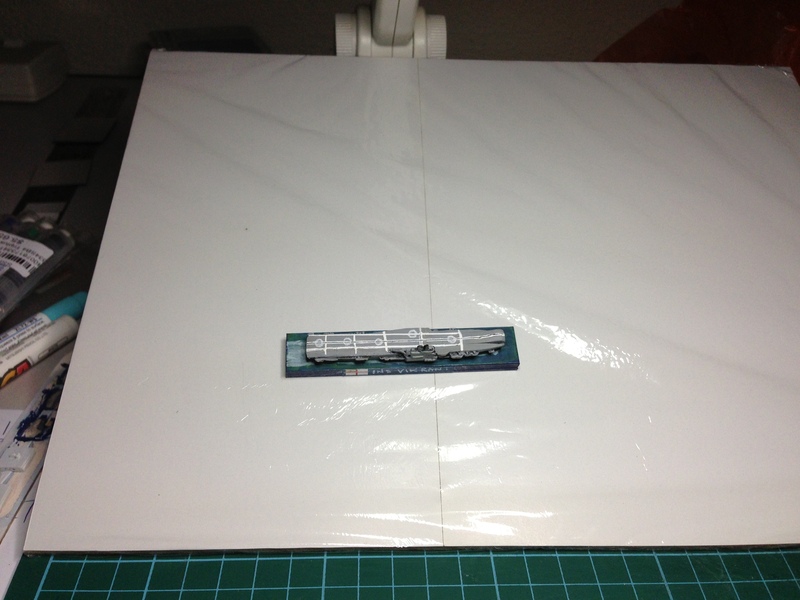 As I am spraying acrylic paint I can then wrap the board in a thin cling wrap (Glad Wrap or Saran Wrap). The figures remain in place because of the magnetic tape being attracted to the metallic sheet. The board with figures can then be placed on the spray chamber turntable (see My Spray Paint Chamber) and spun as it is sprayed without figures sliding around. I’ve tested with my acrylic varnish and it has worked a treat. I will test later with some spray undercoat (Citadel or Army Painter) and see if there is any plastic melt there. In the meantime … sorted. Do test before using with figures however, just in case the spray you are using is petroleum based and melts the glad wrap!